Suggestion: Wherever you decide to go, make sure you get there early! 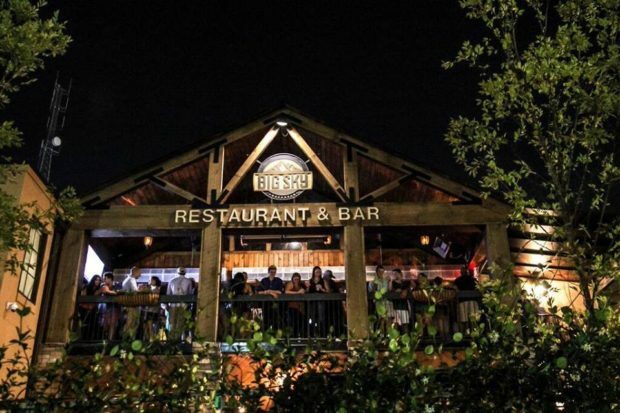 Athens in Atlanta, Big Sky Buckhead is the perfect place to watch the Georgia Bulldogs play in the National Championship, especially if you’re looking to be a little rowdy. Plus the food is awesome! Two levels with several bars, and a “rooftop” atmosphere. This place is pumping music has friendly people and people dancing. There’s also some seating outdoors if you want to sit. Heating lamps are included. 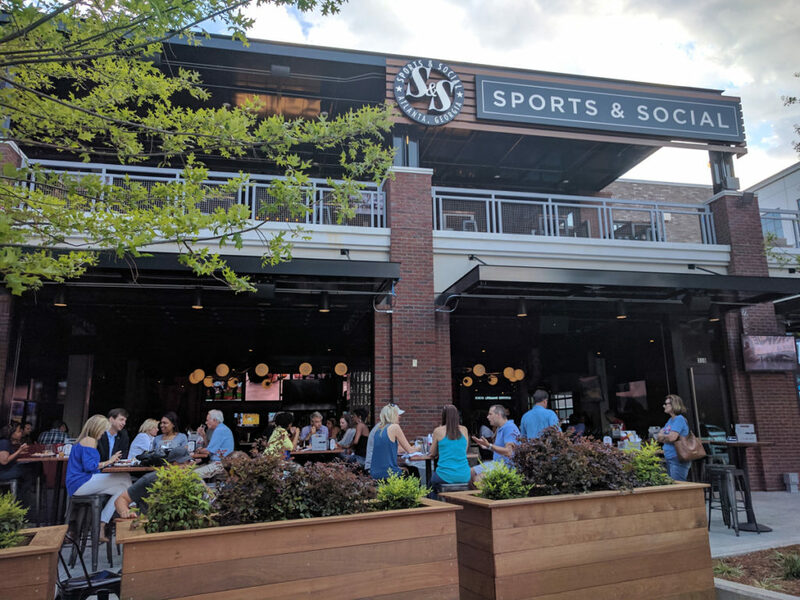 In the new Battery Park in Cobb County, Sports & Social is developing to being one of the best places to watch sports in the city. They have TV’s everywhere & a HUGE one above the main bar. 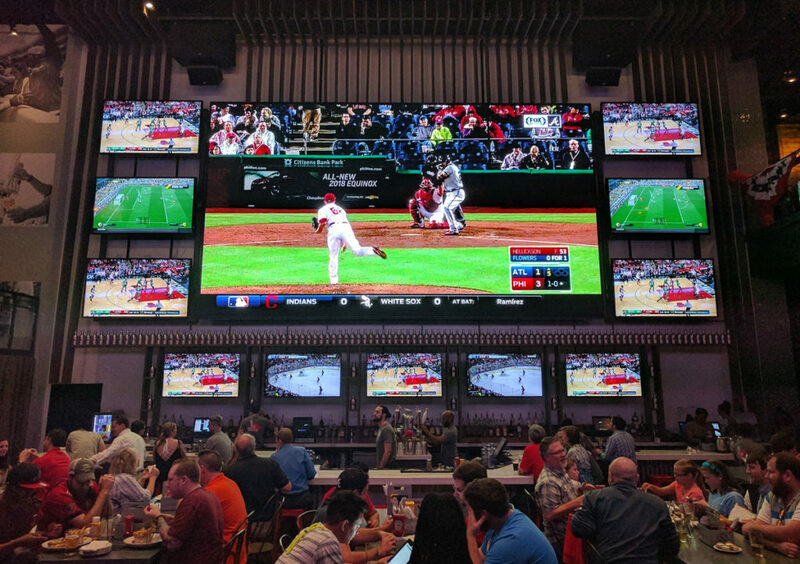 It’s actually the biggest bar screen in the state of Georgia. This is also where the official alumni watch party is.. If you live in Atlanta you’ve probably heard of Hudson Grille before. This is a wonderful place with great food and drinks and tons of TV’s. I’m sure the atmosphere will be great for the National Championship. If you live in Atlanta, you also know about Taco Mac. We chose this place because the beer selection is good and pretty varied! Hampton + Hudson is turning into a mini Athens for the championship game! 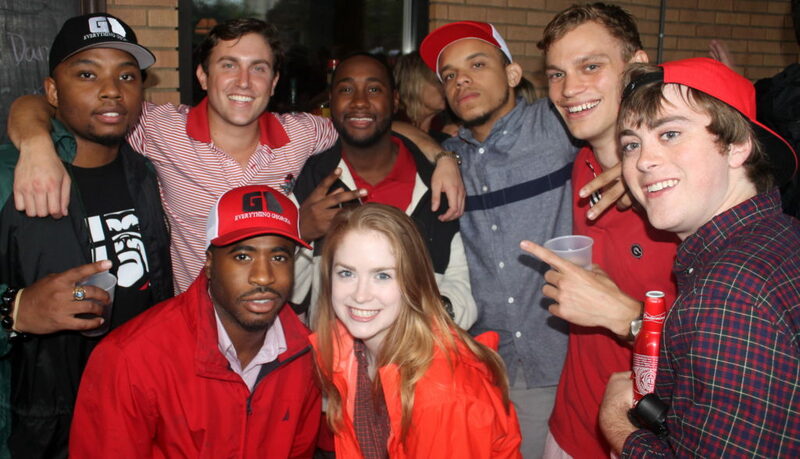 On Jan. 8, the restaurant will serve UGA tailgate-themed food, including wings and Athens Feta Cheese Poutine. 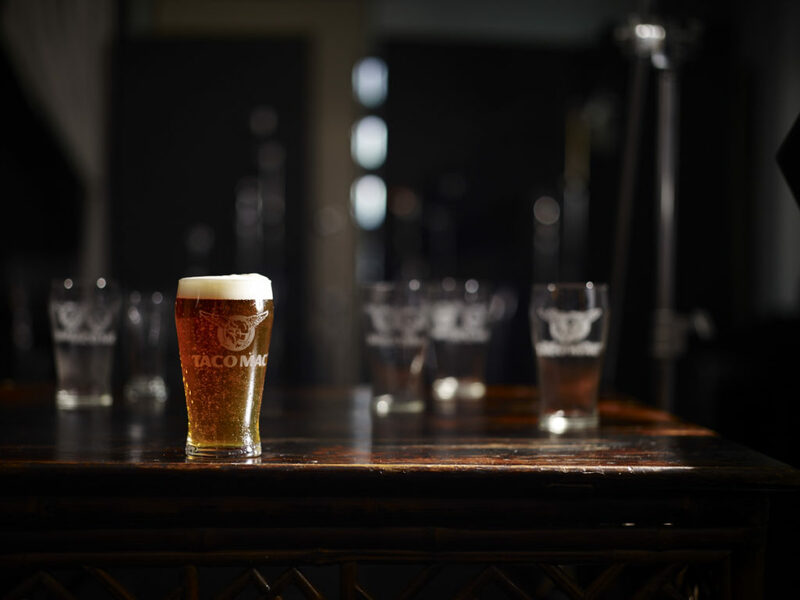 Drink specials include buckets of Terrapin’s Recreation Ale, specialty beer from Terrapin’s lab, and boozy hot chocolate. Guests may also take home other Terrapin swag as they cheer on on their team. 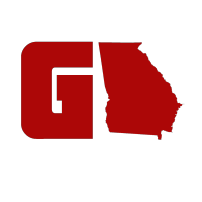 Looking for a local spot to watch Georgia take on Alabama? 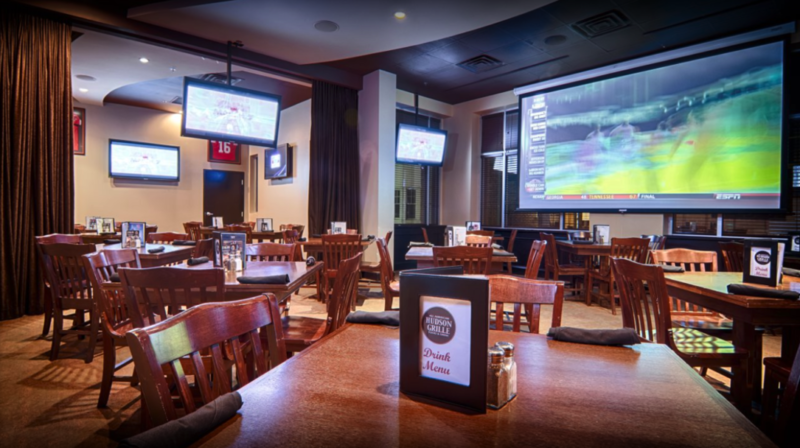 Head to Sweet Auburn’s restaurant at 8pm for half-price wings and $4 select draft beers during the game. Sweet Auburn’s full menu can be found here. As the first-ever Official Beer Sponsor of the College Football Playoff, Dos Equis is celebrating the National Championship with the Dos Equis “Most Interesting Fan” Tailgate in Championship Plaza this weekend. 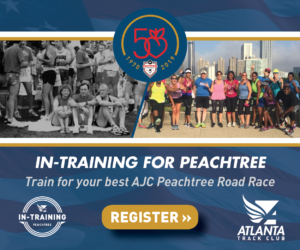 Saturday, January 6th: 11:00 a.m. – 6:00 p.m.
Sunday, January 7th: 11:00 a.m. – 6:00 p.m.
Monday, January 8th: 11:00 a.m. – 6:00 p.m. 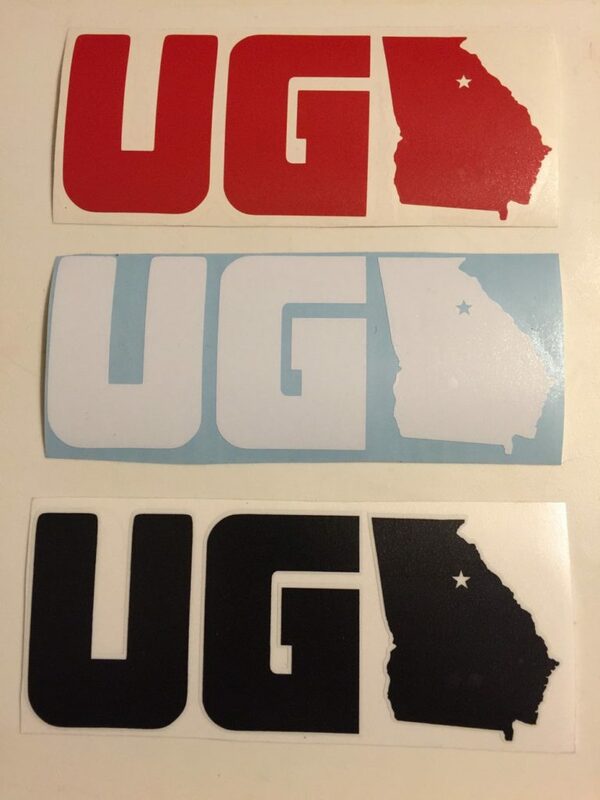 GRAB A UGA CAR DECAL!